University College Cork is home to historic buildings, a dynamic and diverse student population, and an academic culture of excellence and esteem…but those aren’t the only treasures found on campus. 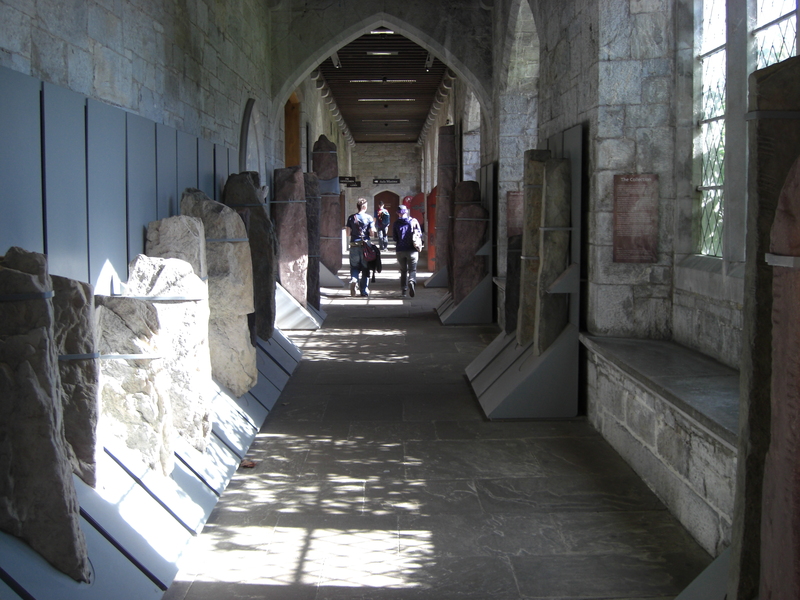 Located in the Stone Corridor of the university’s Main Quadrangle is a collection of Ogham (Ogam) Stones: pieces of physical evidence of the earliest Irish language and scholarship records. UCC’s Ogham Stones Collection, which can be viewed for free, is part of an exhibition entitled “Stories in Stone” and is the largest collection of said stones on display in Ireland. Written in a series of carved lines, the collection of Ogham stones and inscriptions at UCC date back as far as the 5th to 7th centuries AD; UCC began the collection in 1861, with the last piece being added in 1945. Visiting students are invited to take a step back in time and visit pieces of history on a quick trip to the Ogham Stone Collection!